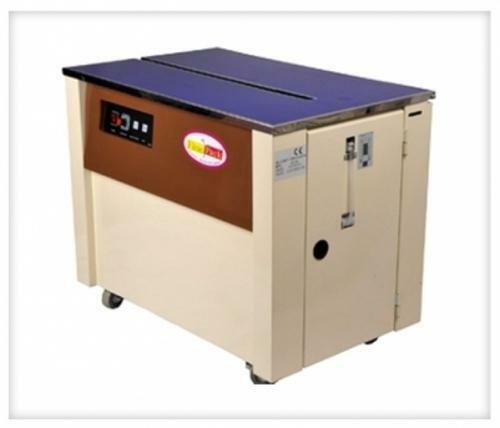 Ace Fine Pack Private Limited is rated among the prominent manufacturer, exporter, wholesaler and importer of Strapping Machine, Coding Machine, Sealing Machine, Wrapping Machine, Pet Strapping Tools and much more. We are engaged in manufacturing, exporting, wholesaling and importing of Strapping Machine, Coding Machine, Sealing Machine, Wrapping Machine, Pet Strapping Tools and much more. These machines are widely used in sealing and packing of granules, liquids, powders, notebooks, toys, pet bottles. Our packaging machines also find its application in business sectors, bank, pharmaceutical, food industry and publishing sector. Our packaging machines are well known for its easy installation, leak proof sealing and working capability in complex situations.